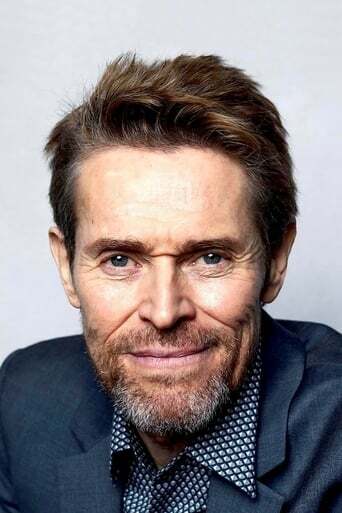 Willem Dafoe (born July 22, 1955) is an American film, stage, and voice actor, and a founding member of the experimental theatre company The Wooster Group. He has had roles in a wide range of films, including Streets of Fire, To Live and Die in L.A., Platoon, Born on the Fourth of July, The English Patient, The Last Temptation of Christ, Mississippi Burning, Wild at Heart, The Boondock Saints, Inside Man, The Life Aquatic with Steve Zissou, Spider-Man, Shadow of the Vampire, The Aviator, American Psycho, Antichrist, and voice roles in Fantastic Mr. Fox and Finding Nemo. Dafoe has been nominated for the Academy Award for Best Supporting Actor twice. The first was for his role in Platoon in 1986 and the second time for his performance in Shadow of the Vampire in 2000. Description above from the Wikipedia article Willem Dafoe, licensed under CC-BY-SA, full list of contributors on Wikipedia.